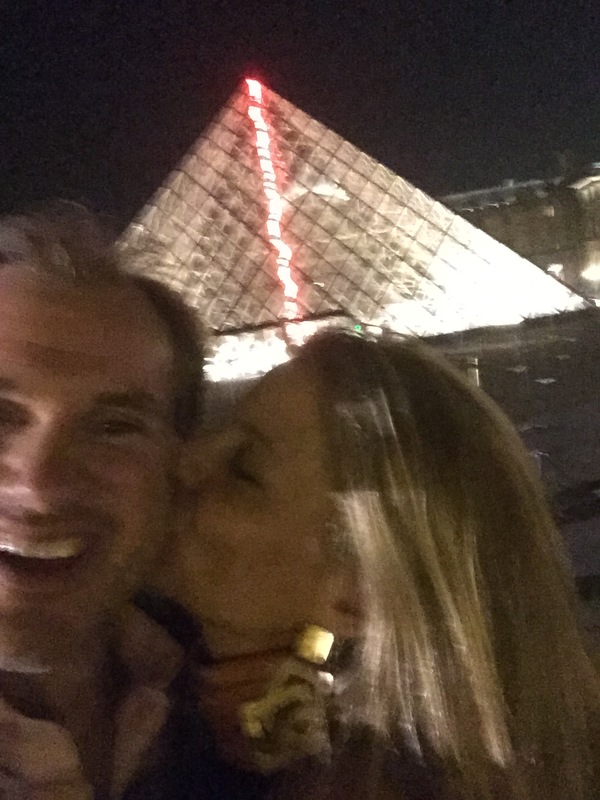 Last Tuesday, my husband and I celebrated our 25th wedding anniversary in Paris. I’d spent a lot of time planning the trip which included stops in Istanbul and Bodrum and wanted to make sure our trip wasn’t just another “vacation”. 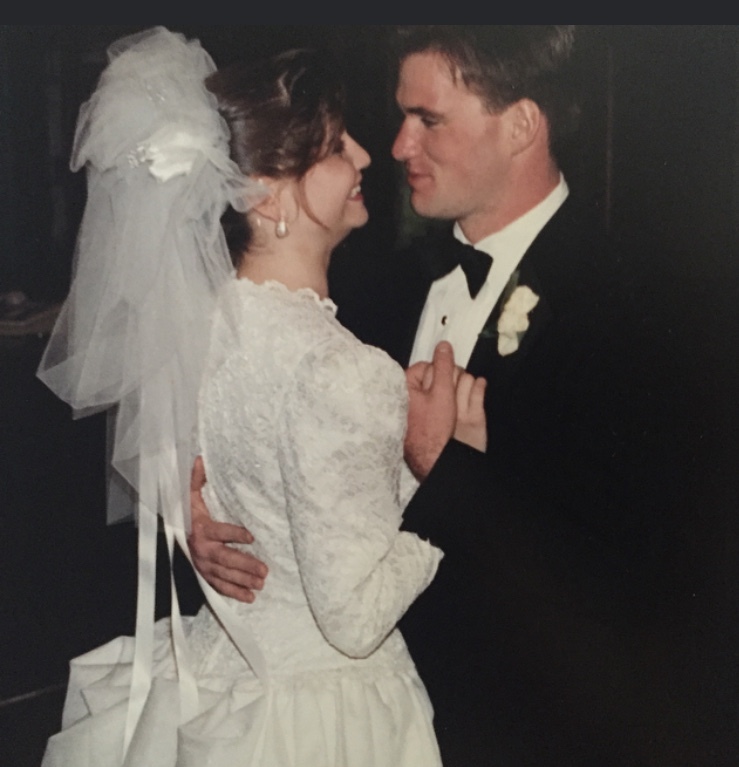 It was important to me to truly acknowledge this huge accomplishment in our lives – being happily married for 25 years is not an easy task. One of the special things I planned was inspired by the recent movie Begin Again with Mark Ruffalo and Keira Knightley. There is a scene at the end of the movie where they walk around NYC at night sharing headphones and listening to all the songs on their iphones. I loved that scene and thought it would be great to recreate it in Paris with all of the songs that were important to Tom and I over the past two and half decades together. I started the playlist with a few songs that we had listened to when we first met (like George Michael and Simply Red) and then threw in a few songs we both had loved independently in high school and college (like the Hooters and Tears for Fears) and then the songs we had loved and listened to all throughout our marriage (like Dido and Genesis). There was our wedding song (What a Wonderful World) and our wedding video song (Slave to Love) and our newest favorite (Sugar by Maroon 5). And then of course I had to throw in a French songs (like Carla Bruni and Grace Jones) because, well, we were in France. When you plan something like this, especially after watching it work so beautifully on the big screen you do set yourself up for a big disappointment. So many things can go wrong including your spouse looking at you like you’re nuts when you hand him a pair of headphones and a splitter. But then, there’s the chance that it goes exactly according to plan and it far exceeds your expectations. That’s what happened last Monday night. It was our first night in Paris and we had finished a really romantic dinner at Les Ombres on top of the Quai de Branly Museum which has a front row seat to the Eiffel Tour. It was still pretty early so we decided to walk over to the tower to get a closer look. It was around 10:30 and it seemed like everyone in Paris was out, sitting on the grass, drinking wine, laughing, kissing, buying souvenirs. As we came full circle around the base of the tower, I pulled out the headphones and told Tom I had a little surprise. We both put them on and I pushed play on the 25th Anniversary Playlist. The first song was She by Charles Aznavour, a French singer my mom introduced me to when I was still a teenager and would dream about falling in love. We held hands and crossed the street to walk home along the Seine. I had the playlist set to shuffle so when each song ended we both waited in anticipation for the next – would it be a really old song we hadn’t heard in ages or one we listened to in the car last week? Would it be slow and tender like The Way We Were or fast and fun like Tom Jones’ It’s Not Unusual to Be Loved By Anyone. We adapted our pace with each song and walked the two miles home dancing and singing and squeezing hands, each new song a gift. So loved this post and the idea. Thanks for sharing.